Pray for the upcoming BBQ, that God would bring just the right people, that we would honor Him and represent Him well, and that we would have wisdom in answering people’s questions. Breakaway Youth Ranch began . . . Amanda and Brent both grew up in loving homes that encouraged them in all they did. They have always had their parents, grandparents, uncles and aunts to support them. They feel extremely blessed. God gave them the desire to give back or share that love with others who maybe have never experienced what it means to be loved unconditionally. Two years ago, Brent and Amanda bought a rescued horse that had clearly been abused. They wanted to somehow work “Doc” through his issues. 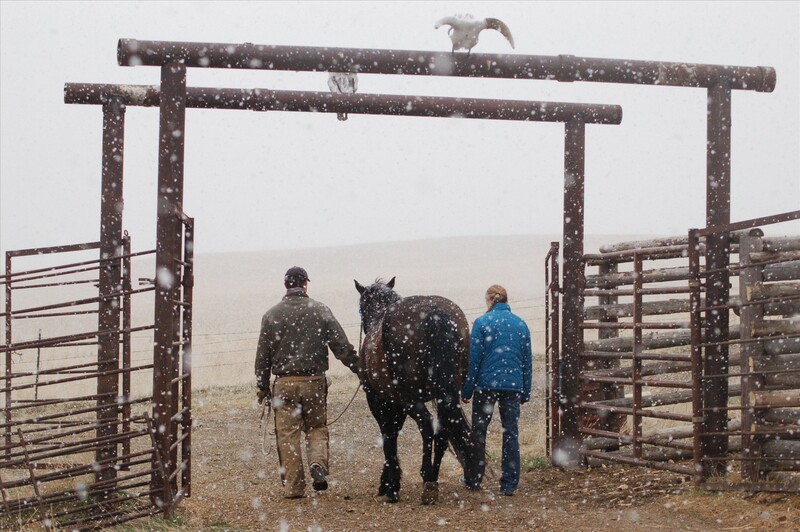 During this time, Brent and Amanda learned about a horse rescue facility that paired rescued horses with kids. The seed was planted. Amanda had worked for the past few years in the public school systems. During her time there, she saw first hand the need for children to feel valued and loved. As time passed, Brent and Amanda began exploring the idea of using their horses to minister to families in their community. Brent and Amanda decided that Amanda would go to an information clinic at Crystal Peaks Youth Ranch in Bend, Oregon. She learned all about how their facility works from start to finish. On returning home, Amanda was encouraged and ready to start Breakaway Youth Ranch.